Akron Today Magazine covers interesting topics for Akron area residents. This includes Fairlawn, Medina, Cuyahoga Falls, Green, Kent, Barberton, Stow, Hudson, Twinsburg, Wadsworth, Copley, Montrose, Mogadore, Tallmadge, Munroe Falls, Uniontown, Hartville, Doylestown, Aurora, Brimfield, Ravenna, Brunswick, Kenmore, Boston Heights, Highland Square, Brecksville, Hinckley, Bath, Macedonia, Sagamore Hills, Mantua, Rootstown, Randolph, New Franklin, Portage Lakes, Clinton, Peninsula. Yes, a big list of great communities. If you are a business or organization that wants to connect with our readers contact us and lets discuss getting you featured in our magazine. We have both free and paid ways to participate which are beneficial to you and your company. We look forward to talking to you. 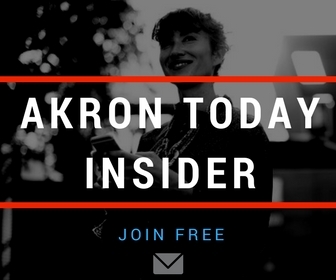 Akron Today Magazine can be an extension of your marketing services to Northeast Ohio companies. Find out the details here.